From pencils and paper, and each-others “weird quirks” to the current and future of technology, the hosts discuss whatever they like. 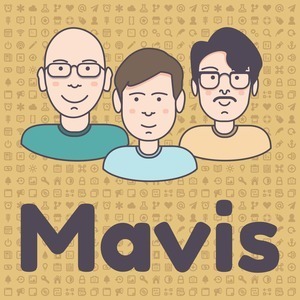 We found 2 episodes of Mavis with the tag “macbook pro”. Follow up with Surface Phone and Windows on ARM, ergonomic keyboards and the Surface Ergonomic keyboards leading on to productive desk setups and Andrew’s new 13” MacBook Pro. Nintendo’s Labo cardboard awesomeness and Microsofts failings with buggy applications. It’s Andrew’s turn to be ill! Will the next generation of MacBooks have Face ID? Scanning documents and going paperless with the Doxie. Shredding techniques included. Jordan has a new wallet. Julian has a new keyboard. Rounding out the first 2018 episode with our “Themes for the Year”.